Wil Buntinx is a healthcare psychologist working in the field of Intellectual Disability (ID) since 1972. The lead in his career can be summarized as ‘bridging the gap between research and practice’. 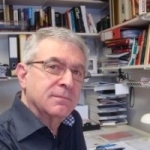 Wil Buntinx worked as a psychologist and clinical director of residential services in several facilities between 1977 and 2001 when he became an associate professor at Maastricht University (Department of Health Services Research and the Governor Kremers Center for intellectual disability). Since 2007, he is director of Buntinx Training & Consultancy, a private company committed to implementing evidence based knowledge in disability policy and practice (www.buntinx.org). Wil Buntinx is currently executive editor of the Dutch Journal on Intellectual Disability (NTZ). Other affiliations are his membership of the Program Committee on Research in Intellectual Disabilities of the Netherlands Organization for Scientific Research (ZonMw). conducted several research projects on the SIS standardization and applications in Belgium and the Netherlands. He developed the Qualty Qube® system for service quality monitoring and improvement in support services. Buntinx Training & Consultancy offers international consultancy in the field of support policy and service performance.